If I was to put 4 star, I would just be hating the Brand. So in all honesty, 5 stars should be rated on this, they are good cards, beautiful inside too. I know a lot of you will probably say this is overkill, and it probably is.. however, I do alot of multi-tasking and working with virtual machines for work so I went ahead and went with 16GB instead of 8. The price was right at $95 and I have no complaints. I had to change the memory voltage in my BIOS to reach the 1866 speed. Good RAM. Had a hiccup with it, but I think that was because the pre-defined XMP profile's timings were slightly off from the suggested ones. I only remove one star on this because I bought blue without thinking about it. Come to think of it I convinced myself this was a great price so I bought it lol. Both were my mistakes though, and this RAM performs pretty great. Beautiful, probably can OC but have not tried. Runs great at 1866 lightning fast and the blue just matches my PC perfect. It's memory, it works. Set to XMP profile 1 @ 1866mHz, no problems. 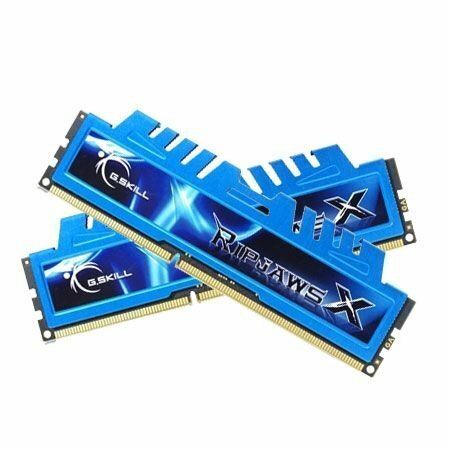 G.Skill memory. The best. End.